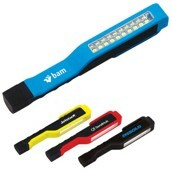 Stress relievers varying slightly in density, colour, size and weight due to molding process. Not designed for use by children under 12. Imprint may break up due to elasticity of surface. Half tones not available. 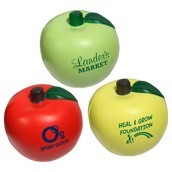 Want to tell a friend about Apple Stress Ball/ Reliever (MC7454)? 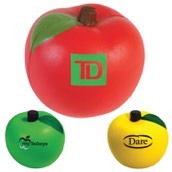 Want to know more about Apple Stress Ball/ Reliever (MC7454)?